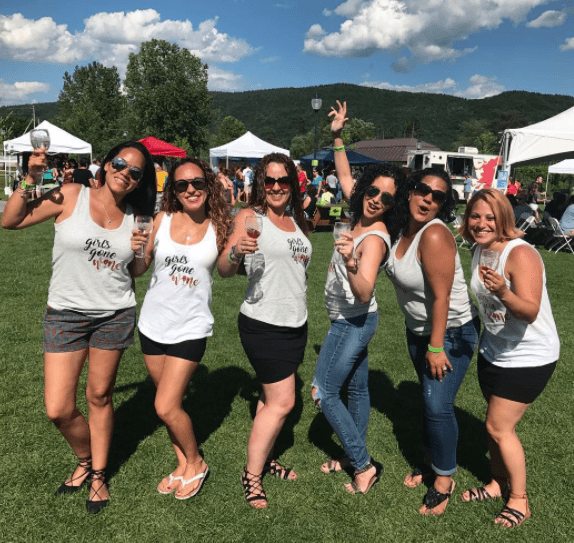 The Adirondack Wine & Food Festival is a 2-day event in Lake George, NY where attendees can sample the delicious foods and drinks of over 35 food vendors, wineries, and craft breweries from around New York State. They needed a partner who offered the knowledge and expertise to market events online and builds interest around the upcoming Festival with a targeted local audience. We helped make this event a success by partnering with the local Lake George, Glens Falls and Adirondack regional websites and social media sites. With the event scheduled for the last weekend of June, our team began running ads to promote the Adirondack Wine & Food Festival a full 2 months before the event. Our graphic designer created a custom display ad with event information and a call-to-action encouraging people to learn more. This ad was placed strategically throughout our regional online guides (including GlensFalls.com, LakeGeorge.com, and Saratoga.com) where it would most likely be seen by potential event attendees. These guides attract thousands of locals and tourists who are searching for local businesses, events, and things to do. Promoted posts helped the Adirondack Wine & Food Festival reach specific demographics on Facebook. We ran 10 posts on our regional guide Facebook pages, including the Adirondacks, Lake George, Saratoga Springs, and Albany NY Facebook pages. This allowed Sasha and Stephanie to get the word out about the event on social media starting in late April and continuing into June. It was a no-brainer to bring Mannix Marketing on as a key promoter of the Adirondack Wine and Food Festival. Not only is Mannix home to the region’s top websites people visit when they’re looking for “what to do” in our area, but Sara, Valleri and their team are great to work with and know exactly what needs to be done to get people interested in your event. We marketed our event via their event listings, display ads, banner ads, social media marketing, email newsletters and more. If Mannix had not been there to play an integral role in the Marketing of the Adirondack Wine and Food Festival, there is no way we would have been successful in bringing 2,500 people to our first year of this event.